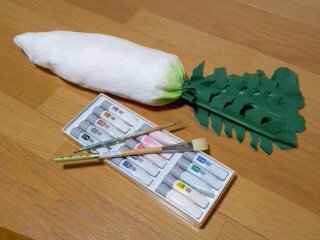 I made a Japanese radish made by cloth. The expression of a leaf was most difficult. 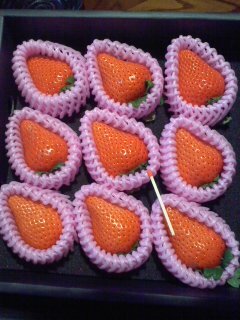 The name of the strawberry of this picture is Ookimi. Ookimi is a big and superficial strawberry.